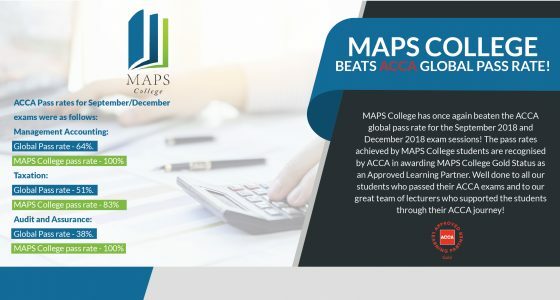 MAPS College is one of the best dominant colleges in the Maldives which provides affordable courses in business, accounting, information technology and travel and tourism. The offered courses open up opportunities starting from the lowest to highest standard students. As a Business Student, my journey in MAPS College so far has been prodigious from the very beginning. The learning environment provides first-rate lectures and resources which motivates student to score good grades. The best thing I noticed about the College is that there is always freedom for students to open up their suggestions and feedback about lectures and other activities. Studying in such a friendly environment helps me to improve my scores, skills and talent. There is no doubt that I would recommend MAPS College to my friends. 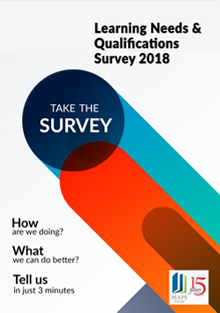 The Association of Chartered Certified Accountants (ACCA) is the global professional body that offers Chartered Certified Accountant qualification. MAPS College has been delivering ACCA modules for two decades and have been dedicated to guide the students in achieving excellence. Our lecturers strive to enhance the learning experience of the students by providing a practical learning opportunity. In order to prepare students for assessments, scheduled normal classes and revision classes are held. Mock examinations are also conducted to measure student performance, after which constructive and direct feedback are given for the students to prepare themselves for final examinations. MAPS College have been awarded the ‘GOLD’ approval under the Approved Learning Partner programme in recognition of the quality of learning provision and support for ACCA students, and take pride in being able to maintain this prestigious status. To achieve GOLD status, an institute would need to achieve pass rates higher than the global pass rate in at least 50% of the papers taught. In December 2018 examination sitting, we have achieved pass rates higher than the global pass rate in 75% of the papers taught. CONGRATULATIONS to our students for this achievement and to our lecturers for their contribution. We would like to invite all potential students who are interested in accounting field to join ACCA programme at MAPS College. We assure you an excellent study experience.